Rosetta Getty poplin top from the Resort 2018 Collection. For in-store inquiries, use sku #2323208. 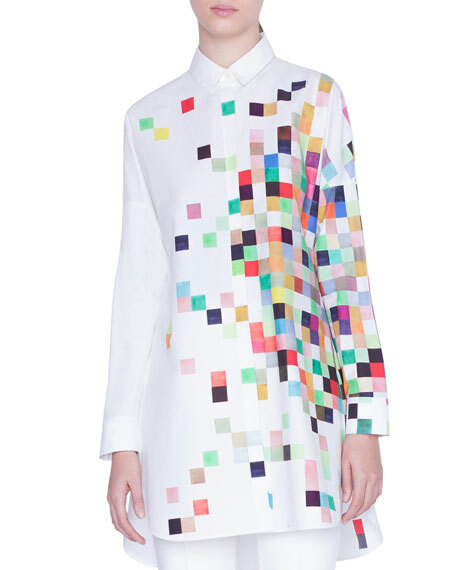 Akris punto tunic blouse in pixel print cotton poplin. Kent collar; hidden button front. Long sleeves. Relaxed fit. Back box pleat. 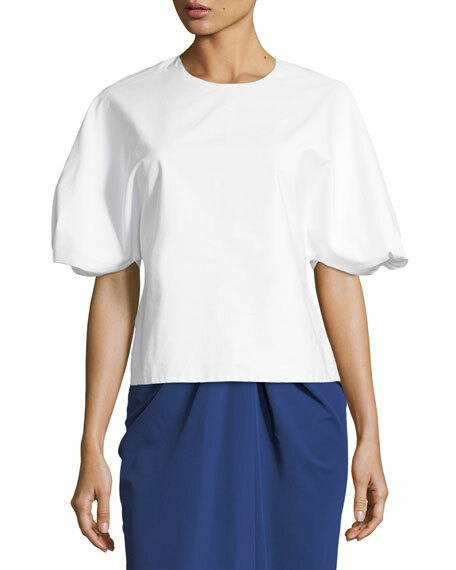 Rounded hem. Cotton. Imported. 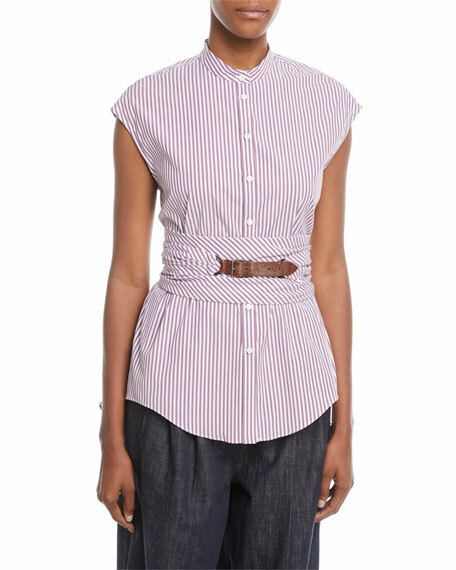 Brunello Cucinelli striped poplin tunic blouse. Band collar; button front. Cap sleeves. Wraparound sash waist with leather closure. Slim silhouette. 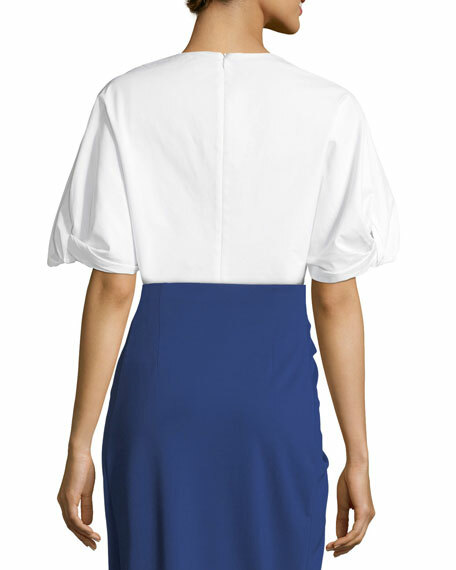 Rounded front and uneven back hem. Cotton/spandex. Made in Italy. 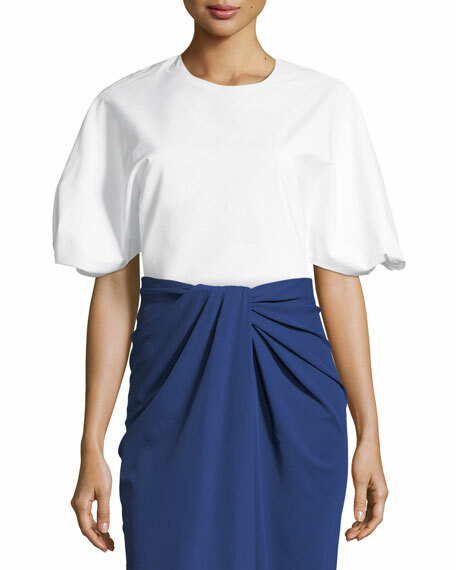 Figue "Bella" dress in cotton poplin with a soft, 80s finish. 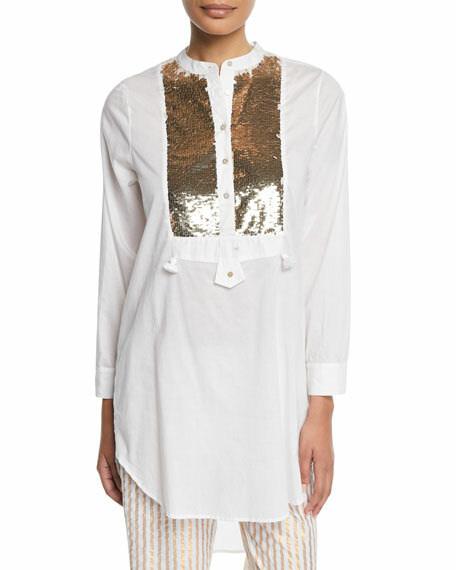 Frilled split neckline; contrast neck ties with tassel accents. 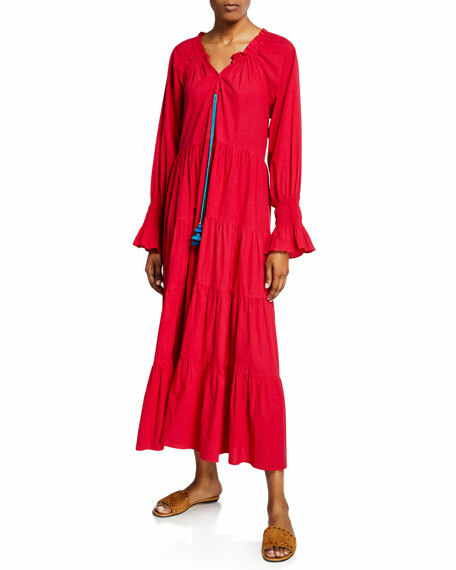 Long sleeves; smocked at flared cuffs. Tiered silhouette. Maxi length. Pullover style. Cotton. Imported.